Absurditty (or an Absurd Ditty, deliberately misspelled), where $100 = 2 quarters, May 14, 2014. (Donald Earl Collins). I could’ve just as easily titled this post, “Road to Boy @ The Window, Part 5: My Mother and My Doctoral Graduation.” Precisely because any chance I had of immediately getting over the psychological and emotional hump of finishing a doctorate while dealing with the betrayals of an advisor and dissertation committee was gone by the end of my graduation day, the third Sunday in ’97 (anniversary number seventeen, just four days away). That process opened me up to looking at my past, to figuring out how someone like me could go on to do a PhD, to teach, to write, to learn, all well beyond the expectations of my parents and my classmates. The process of feeling uneasy about my relationship with my Mom, though, had begun the day after my interview at Teachers College. That Tuesday, May 13th, I left the Hotel Beacon, made my way down to the 66th Street stop, and caught the 1 train to The Bronx and Van Cortlandt Park. I then caught a Westchester Bee-Line Bus up Broadway and crossed the Yonkers-Bronx border, where I got off to walk up a one-block-long hill. I arrived at my Mom’s temporary place on Bruce Avenue. 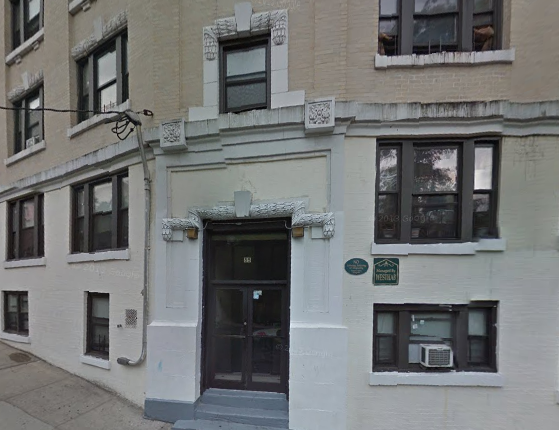 This was where she and my younger siblings had been living since the end of ’95, as a result of an electrical fire that swept through two floors of 616. Not to mention, an incompetent Mount Vernon Fire Department that did more damage by flooding two of the three buildings on the property in the process of putting the fire out. It was a sparse place that made 616 look like a luxury high-rise by comparison. There were holes in the walls because my younger siblings Yiscoc and especially Eri had punched through the cheap plaster and nonexistent sheet rock in their teenage anger and rage. Front door of 85 Bruce Avenue, Yonkers, NY (screen shot), taken in October 2007. (Google Maps). It was in the midst of all of this that my Mom was finally graduating from Westchester Business Institute with her associate’s. I was happy for her. The only thing that concerned me was the kind of work she could find with the degree. I was willing to help her in any way I could, including coming up and spending a few days in Yonkers to attend her ceremony in White Plains that Tuesday evening. I wanted to continue to provide my Mom the emotional support that I thought she wanted. That began to change the morning after her graduation ceremony. We were sitting down at this cafeteria bench that served as the kitchen table, with her drinking cream-infused tea from a chipped white flower mug and eating a piece of toast while I contemplated walking down the hill for some yogurt. We’d been talking about looking for work, about her moving out and finding a place in White Plains, or even moving back to a fully renovated 616. I brought up the real possibility that if I got the Teachers College job, I would move back to the New York area (though not Mount Vernon — out of the question). This was when my Mom said, “You know, you were in school so long, you could’ve had another high school diploma.” It was out of the blue, and caught me completely off guard. It was quiet for a moment, with me in a deep frown, and my Mom sitting there for a few seconds. Then she forced a laugh. “It’s a joke,” she said, as if I was supposed to be oblivious to the nonverbal displays of disdain for nearly a decade’s worth of my work. And, what was the joke? My degree, or the amount of time and energy I spent in earning it? I sort of ignored what my Mom had said at first. But really, how could I? Mom had told the lamest of jokes over the years — like about how diarrhea “was like ‘dying in the rear’,” she’d say as if she heard the joke from someone else. But no matter how I looked at it, comparing everything I went through from August ’87 up to that point to a diploma that I earned while living in two hells — 616 and Mount Vernon High School — wasn’t a joke. Not for either of us. 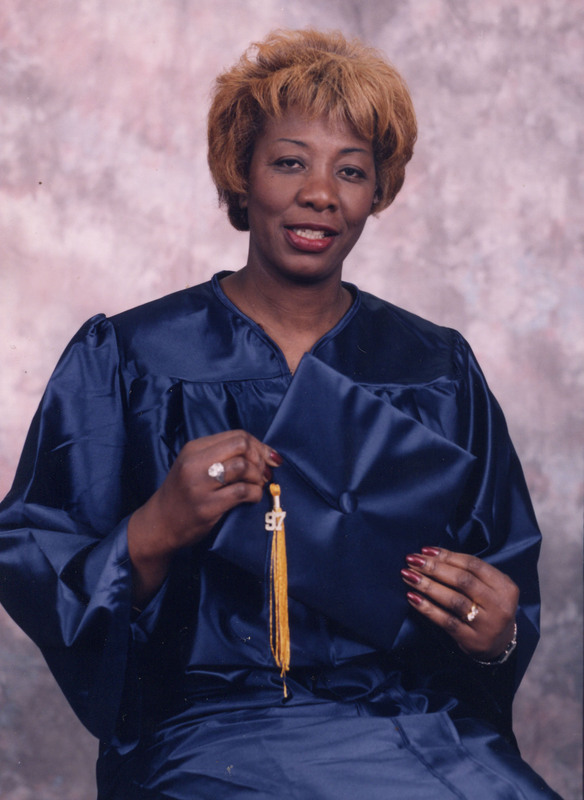 My Mother’s Associate’s Degree Photo, Westchester Business Institute, May 12, 1997. My Mom disappointed me a day later, as she said, “I don’t have to tell you that I’m proud of you. I tell other folks, just not you.” It was in response to me saying that I thought her joke wasn’t one at all. But she hadn’t sealed our fates as a mother and son in a long-term strained relationship, at least not yet. That would occur a few days later. Even under the strictest of measures, comparing a PhD to a high school diploma is ridiculous. It’s like comparing the buying power of Oprah to an ant colony. But I figured out a long time ago, long before starting my master’s program in history at Pitt, that a degree is only worth anything if you use it to enhance your life, advance your career, or pursue your calling. Even with all my qualms. About academia, about the publish-or-perish model, about the not-for-profit profit world, even about myself as a writer. It was all worth it. One thing I did learn, though, about my Mom, maybe for the first time. I’d always wondered about the saying, “I love you, but I don’t like you.” I hadn’t really understood what that meant until the week of my doctoral graduation.